Despite having the best of intentions, it's often easy for your well-meaning advice to be taken as an attack — perhaps with good reason. 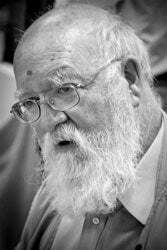 Philosopher Daniel Dennett has some thoughts on how to foster a more receptive audience with compassion. This advice seems especially helpful in the faceless landscape of Internet Arguments. The entire post is absolutely worth reading, as well as the suggested further reading about refuting arguments according to Susan Sontag.